Pianist and new music advocate Nicholas Phillips presents new piano music by Muhly, Greenstein, Snider, Winges, Garrop, Pann, Olivieri, Pieslak, and a world premiere by local composer Lucas Floyd. Described by the New York Times as an “able and persuasive advocate” of new music, pianist Nicholas Phillips’ playing has been praised for its “bejeweled accuracy” (Fanfare) and as “razor-sharp yet wonderfully spirited” (American Records Guide). 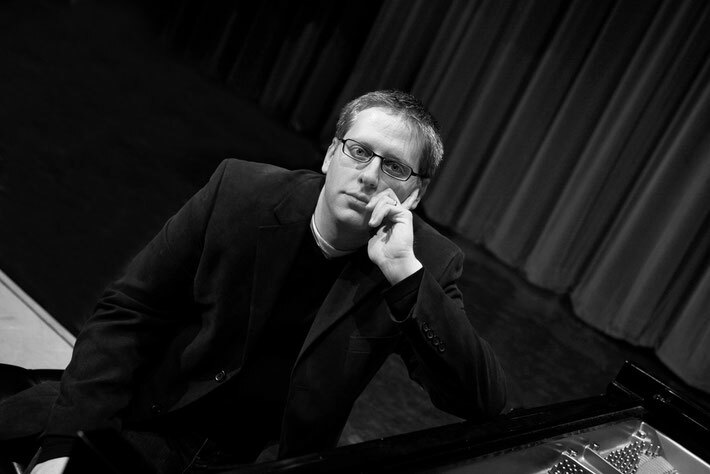 He is active as a soloist and collaborative artist; recent performances include solo recitals in Lithuania, Korea, and Argentina, as well as dozens of states across the U.S., and an invited performance at the Croatian Embassy in Washington, D.C.
Phillips has given lecture-recitals and presentations at conferences in the U.S., Argentina, Croatia, England, and South Korea. In 2011 he released two CDs on Albany Records; Portals and Passages, which features the piano music of American composer Ethan Wickman (b.1973), and Boris Papandopulo: Piano Music. In 2014, he released American Vernacular: New Music for Solo Piano on New Focus Recordings, which features commissioned works written for him on that theme by 10 American composers.